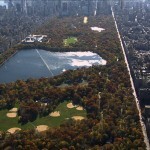 The film explores the founding and history of New York’s beloved public parks with Adrian Benepe, New York City Parks Commissioner; Mayor Ed Koch; Marty Markowitz, Brooklyn Borough President; and Candice Bergen. In conjunction with NYC Media, the official network of the City of New York, Treasures of New York takes an intimate look at the planning and design of five iconic parks in New York City and shares their rarely-told history. City Parks premieres Wednesday, September 5, 2012 at 7 p.m. (ET) on WLIW21 and Sunday, September 9, 2012 at 7 p.m. (ET) on THIRTEEN. The film features Mayor Ed Koch; Marty Markowitz, Brooklyn Borough President; Candice Bergen and other leading members from the Parks Conservancies. Also featured is Adrian Benepe, New York City Parks Commissioner, who will become Senior Vice President of City Park Development at The Trust for Public Land in September 2012. After broadcast, the film will be available to national audiences at thirteen.org/treasures-of-ny. The website offers past episodes and conversations with visionaries behind New York’s greatest institutions. 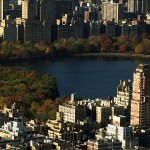 Using archival footage and expert interviews, the film brings to life the history of the five representative parks of each borough which include Bronx’s Pelham Bay Park, Brooklyn’s Prospect Park, Manhattan’s Central Park, Queen’s Flushing Meadows Corona Park, and Staten Island’s Greenbelt. Both engineering marvels and distinctive natural oasis in an urban setting, these public green spaces have transformed the City’s landscape and enriched New Yorkers from all walks of life. During the Industrial Revolution, New York City began to develop one of the most diverse and dynamic park systems in the country. In Central Park, a swamp was converted into an ice skating rink. In Prospect Park, water was pumped from a well deep below its land to form a lake. 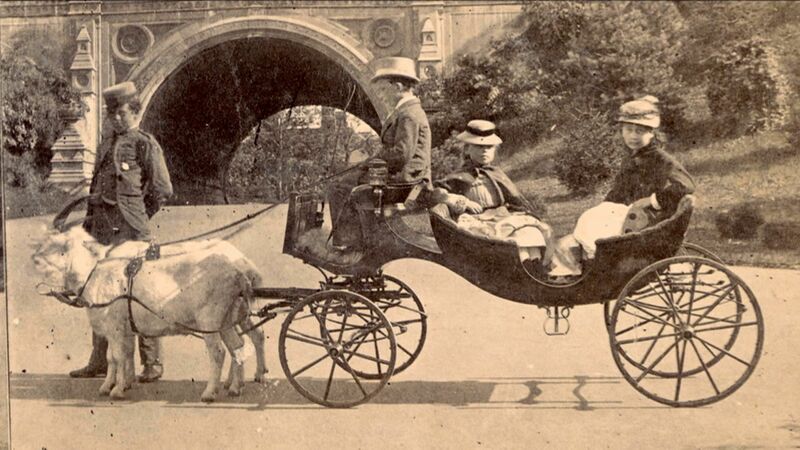 Such engineering feats drew spectators during the building of Prospect Park. 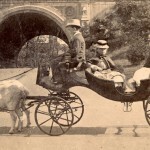 Through time, Central Park suffered great negligence brought on by the Depression while other parks were radically reimagined and repurposed for a different future. In spite of their sometimes rocky past, five major parks in the five boroughs exemplify the City’s unique natural heritage. Under Parks Commissioner Robert Moses’ reign from 1930s through 1960s, nearly every park in the City was renovated. 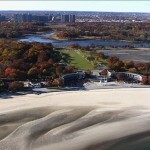 Expanding on the vision of Calvert Vaux and Frederick Olmsted, the original landscape architects of Central Park and Prospect Park, Moses created a man-made Orchard Beach in Pelham Bay Park and turned a landfill into Flushing Meadows Corona Park, complete with world-class athletic facilities and museums. 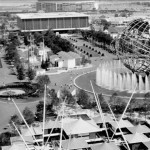 Flushing Meadows even once housed the United Nations. However, when Moses had plans to construct a highway system across Staten Island’s woodlands, his efforts were thwarted by citizens who fought to preserve the pristine wilderness, which later became the Greenbelt. This accidental paradise stretches 32 miles through more than 2,800 acres of public and private land in central Staten Island. 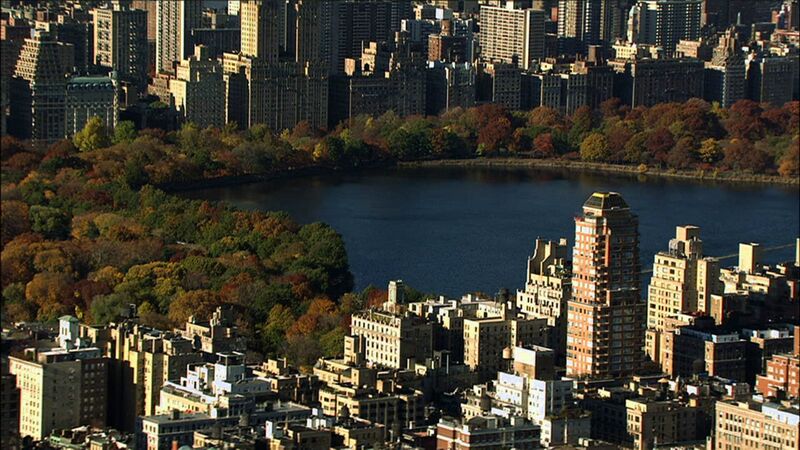 Today, New York City’s parks welcome tens of millions of visitors each year. 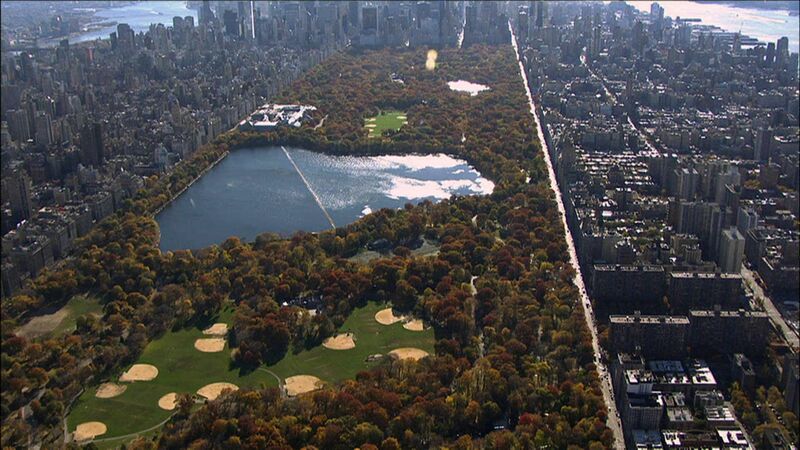 Central Park alone estimates 40 million annual visits a year. From forests to concert stages and wetlands to swimming pools, the City’s parks are a national and global model for cutting-edge design and civic pride. They feature creative re-use of landfills, wildlife preservation, sports and entertainment. Not only do the parks make wildlife universally accessible in a big city, they contain historical structures and outdoor sculptures that maintain New York’s cultural and aesthetic legacy. Perhaps most importantly, City parks reflect democratic values; an open space embracing everyone to come explore nature and enjoy life. 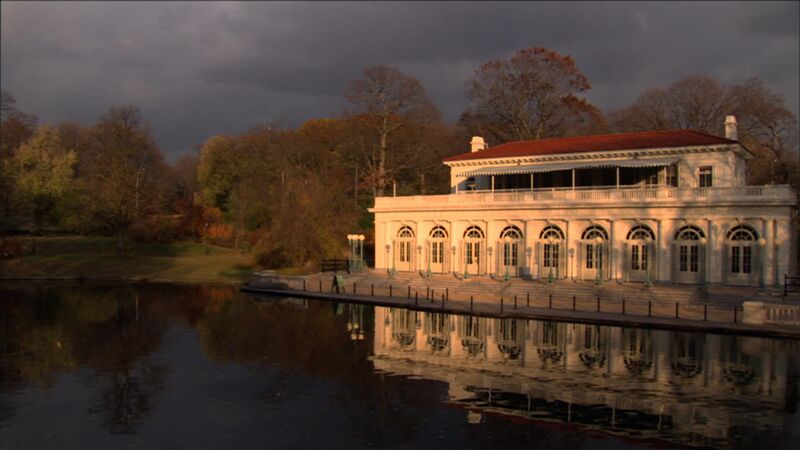 Treasures of New York: City Parks is a production of NYC Media for NYC Life’s Blueprint and WLIW21 in association with WNET, the parent company of THIRTEEN and WLIW21, New York’s public television stations and operator of NJTV. The Executive Producer for City Parks is Diane Petzke. The episode was produced by Dean Irwin and Andrew Guidone and written by Dean Irwin. Treasures of New York’s Executive Producer is Diane Masciale. Associate Producer is Ally Gimbel. Executive-in-Charge of Production is John Servidio. Part of the Mayor’s Office of Media and Entertainment, NYC Media is the official TV, radio and online network of the City of New York, informing, educating and entertaining New Yorkers about the City’s diverse people and neighborhoods, government, services, attractions and activities. NYC Media oversees several television channels, a radio station and other online assets. NYC life – Channel 25 on most systems and Channel 22 on Cablevision – explores arts and culture, entertainment and lifestyle, and history and education, and features the people and places that make our City unique. Visit nyc.gov/media to learn more. In 2012, WNET is celebrating the 50th Anniversary of THIRTEEN, New York’s flagship public media provider. As the parent company of THIRTEEN and WLIW21 and operator of NJTV, WNET brings quality arts, education and public affairs programming to over 5 million viewers each week. WNET produces and presents such acclaimed PBS series as Nature, Great Performances, American Masters, Need to Know, Charlie Rose and a range of documentaries, children’s programs, and local news and cultural offerings available on air and online. Pioneers in educational programming, WNET has created such groundbreaking series as Get the Math, Oh Noah! and Cyberchase and provides tools for educators that bring compelling content to life in the classroom and at home. WNET highlights the tri-state’s unique culture and diverse communities through NYC-ARTS, Reel 13, NJ Today and the new online newsmagazine MetroFocus. 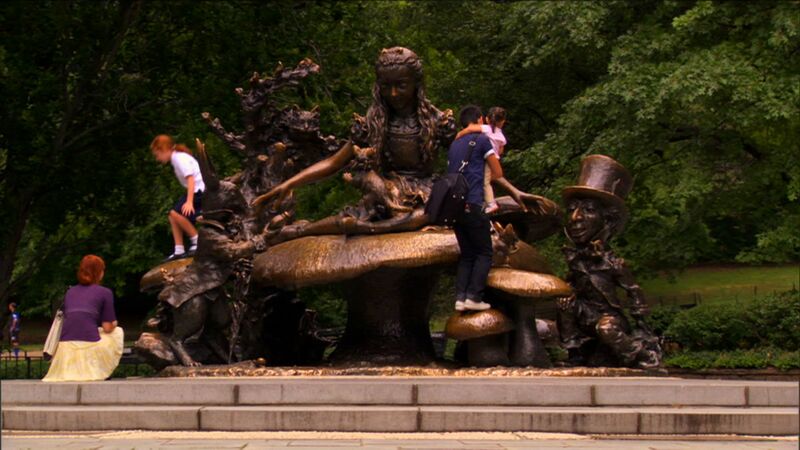 Central Park’s Alice in Wonderland bronze sculpture, constructed in 1959 by José de Creeft under the commission of philanthropist George Delacorte so that children could visit and experience the wonder of Lewis Carroll’s classic story. 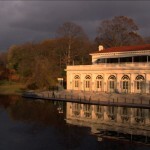 Built in 1905, the Boathouse in Prospect Park was one of the first buildings in New York City to be declared a landmark. This Beaux Arts style building overlooks the beautiful Lullwater and Lullwater Bridge and features two levels and a balcony. 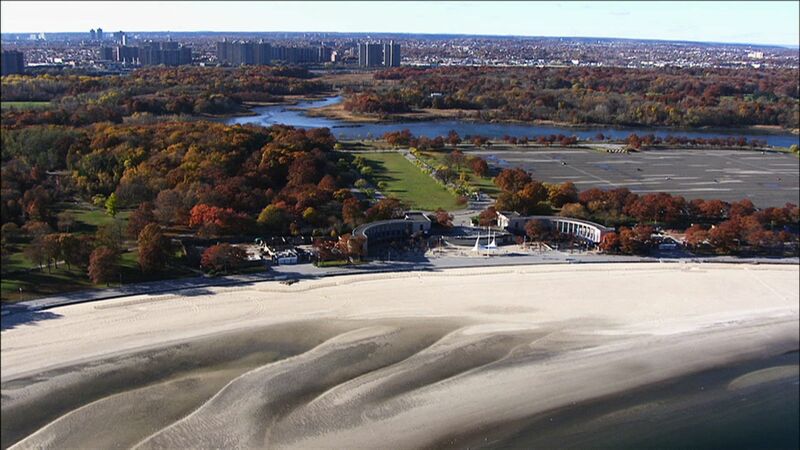 In Pelham Bay Park in the Bronx, what was once a crowded mass of summer cottages on the shore of Long Island Sound was converted into a vast sandy public beach when the water between Rodman's Neck and Hunter Island was filled to create Orchard Beach's wide crescent. 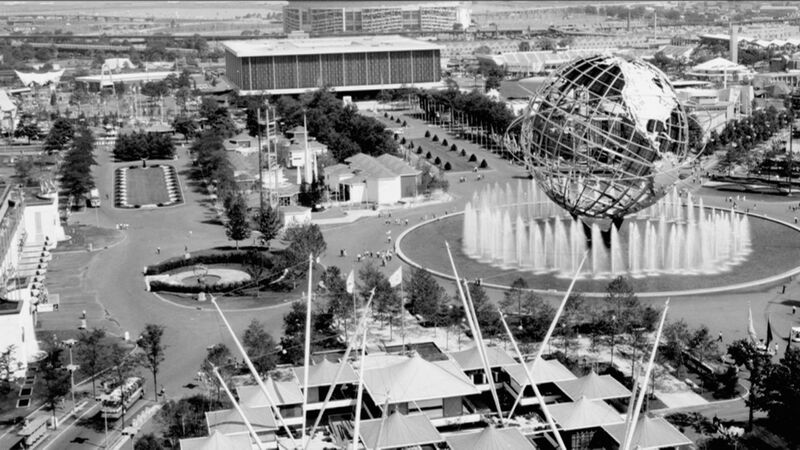 Archival image from the 1964 World’s Fair at Flushing Meadows Corona Park in Queens, taken 7/30/1964, provided by Parks Photo Archive, City of New York Parks & Recreation.